The deceased has been identified as 42-year-old Brian F. Wetmore. His next-of-kin have been notified. The circumstances surrounding Wetmore's death are still under investigation. No further details are being released at this time. 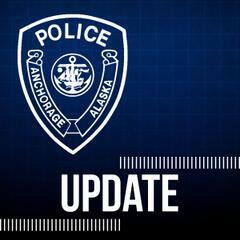 At 12:58 PM on Saturday, February 16, 2019, Anchorage Police Dispatch received a call that a male had been shot. Officers responded to a residence on the 3000-block of Wendy’s Way and located a male inside the home with a gunshot wound. He was transported to a hospital where he was declared deceased a short time later. APD’s Crime Scene Team is responding to the residence to process the scene. Initial indications are that this is an isolated incident and officers have made contact with everyone involved. The circumstances under which the male was shot are still being determined/investigated.